Adhesion is one of the most important features of a dental sealant. A pretreatment conditioning protocol with an appropriate acid is necessary to obtain adequate penetration of a sealing material. Each tooth has to be individually acid-etched, and the sealant placed and cured. Sealant failures happen when moisture from saliva cant be controlled. Isolation techniques vary depending upon the type of isolation used. When asked what they use for isolation, many assistants mention cotton rolls and dry angles. Most dental assistants said they prefer dry angles because they are environmentally friendly, but also control saliva flow. 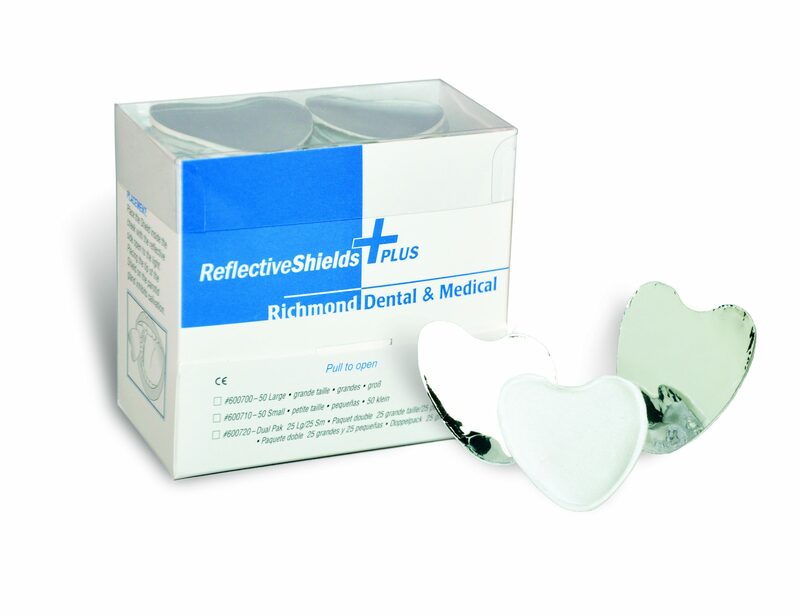 Reflective Shields Plus by Richmond Dental are specially designed with a heart shape and distinctive film to reflect light. During longer procedures, other shields may not hold up and multiple shields are needed to control moisture. Dental assistants report that Reflective Shields Plus hold up during the entire procedure. Other dental assistants comment that they don't have to worry about dental burs getting caught in the shield, as can happen with cotton. One assistant loved the fact that they are heart-shaped and fit right into a drawer for easy storage. Reflective Shields Plus are ideal for procedures such as placing sealants and composites, and for preparations and deliveries. They are available in Large, Small, and a Dual Pack.